Average 4.4 / 5 out of 34 total votes. “Even if this universe is truly nothing more than a brutal bloody shadowy forest, we Cultivators will burn all that we have just to give off a single weak flickering spark in the darkness! In a world teeming with cultivators, Li Yao, who makes his living collecting scrap metal, encounters the soul of a titan powerhouse from forty thousand years in the past. 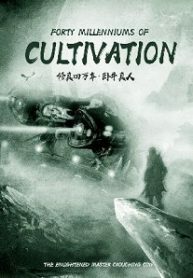 You’re reading chinese web Novel “Forty Millenniums of Cultivation” on BOXNOVEL.COM. We will have 3158+ Chapters to completed this. Thanks!